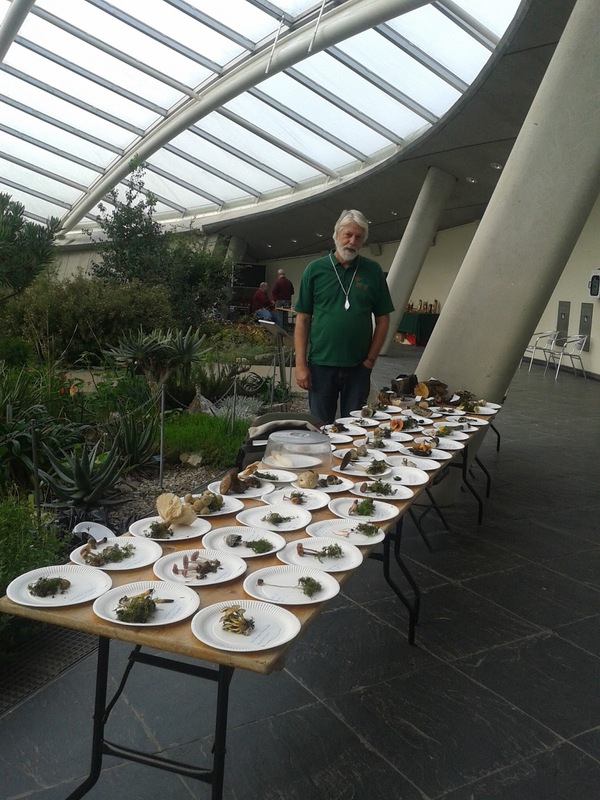 As part of the UK Fungi Day we had been asked to put together a display for the National Botanic Gardens Fungi Event in the Great Glasshouse. Yesterday (Saturday) Philip, Linda, Emily and I spent the afternoon wandering the wood looking for a range of specimens. We were able to collect 48 different species, which along with the 7 Philip had brought from Pembrey, meant we were able to display 55 local Fungi species, all of which we were able to identify to at least their genus. In fact we had so many we overflowed the two tables we had been allocated! from the photographs I saw and reports I've received you did a brilliant job. well done to all concerned. My favourite bit of the day - a stunning array of fruitng bodies and really well laid out. Thanks Tony, Emily and Philip.